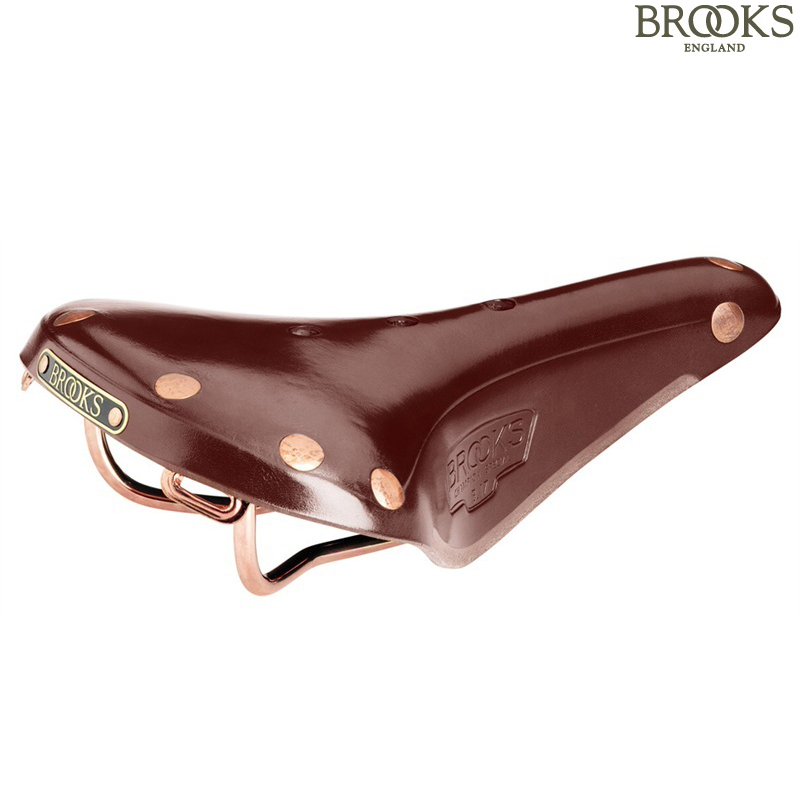 Brompton commissioned Brooks B17 with larger copper rivets, to fit this you will need a saddle clip, the Brompton Pentaclip is ideal. excellent service by SJS cycles, the product came in perfect condition. The Brompton B17 has been made with larger rivets and, depending which option you choose, comes with a pentaclip that is required for fitting to a Brompton. Other than that they are the same. Is there any difference between the Brompton B17 and the regular B17 besides the leather/rail colors and rivets? The fittings are still identical, the only difference is in the colours. Hi, does this Brooks have thicker, stiffer leather like B.17 select or it has standard top like ordinary B.17? This saddle has the same thickness of leather as the standard B17. I'm looking for the honey version. Is it available? This is the Brompton special B17 saddle that was produced in a special colour way for Brompton, this colour is half way between the standard brown and the honey. We do stock the standard B17 in honey and it is SJSC part number 28299. Does The Saddle Comes With Tool And Proofide? I'm Afraid this saddle doesn't come with the proofide or the adjustment tool.